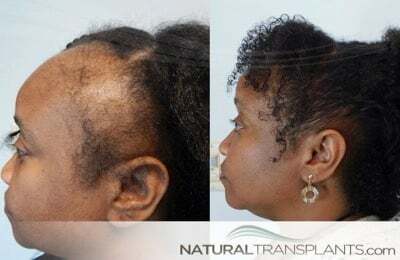 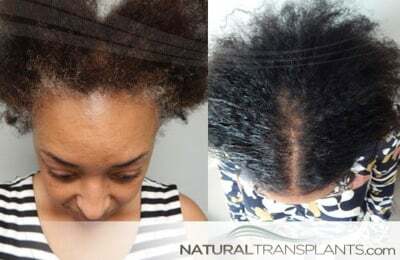 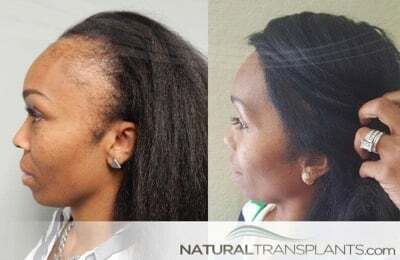 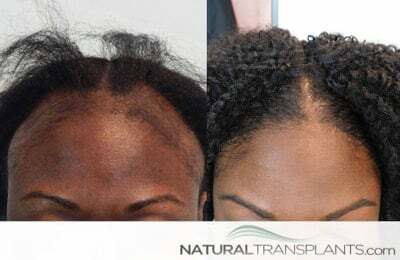 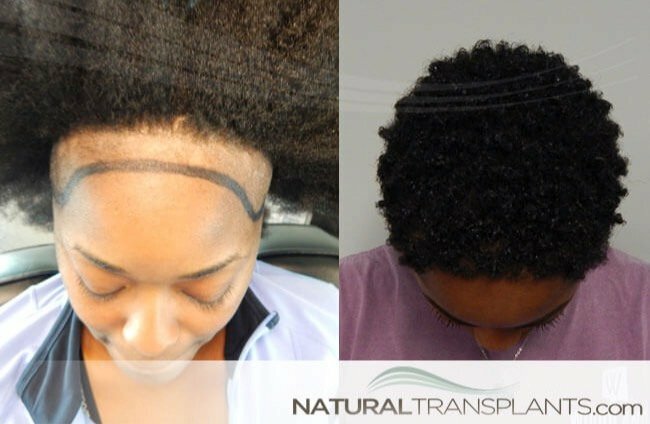 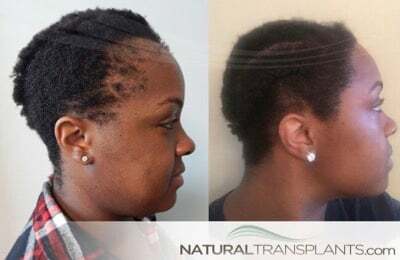 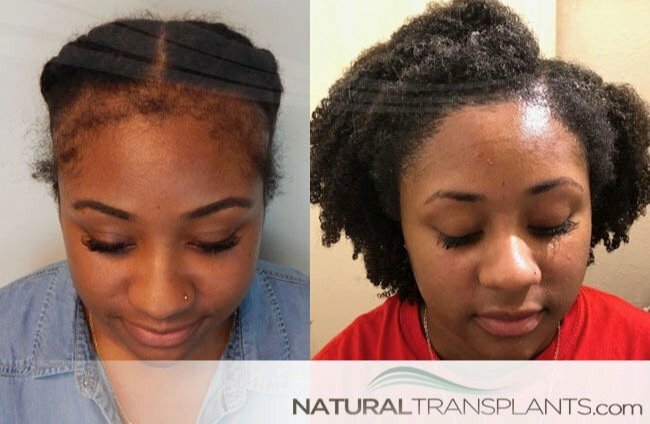 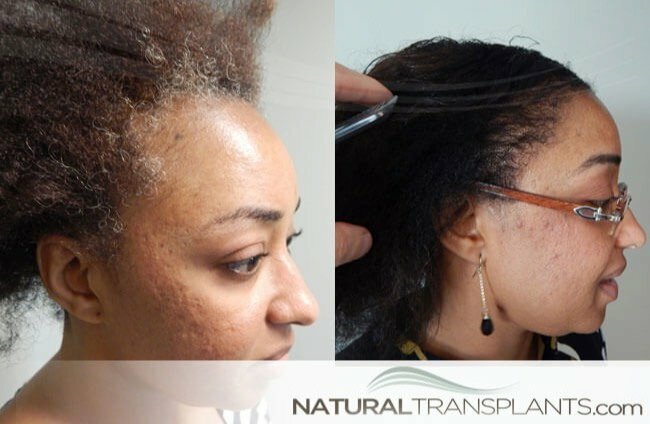 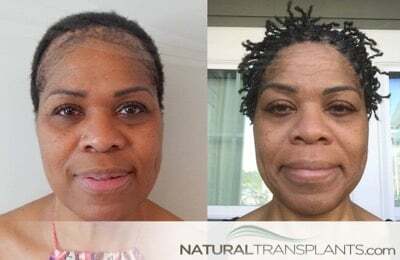 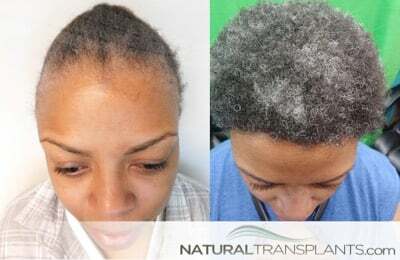 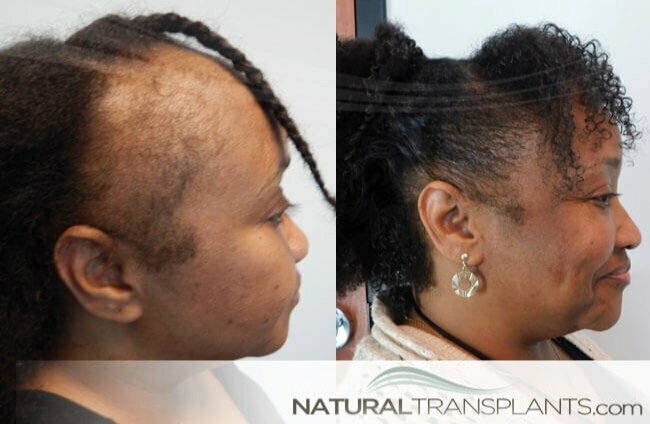 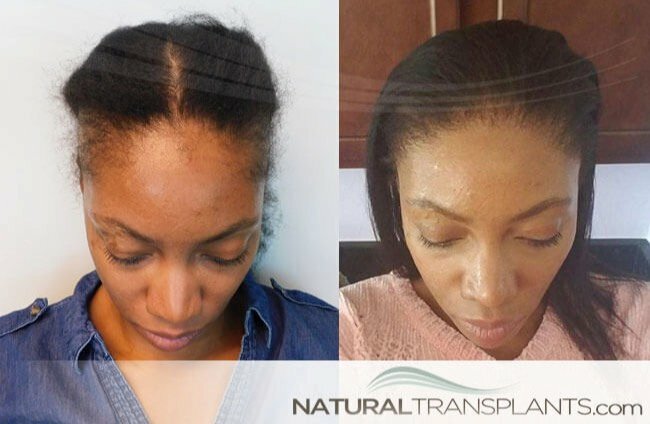 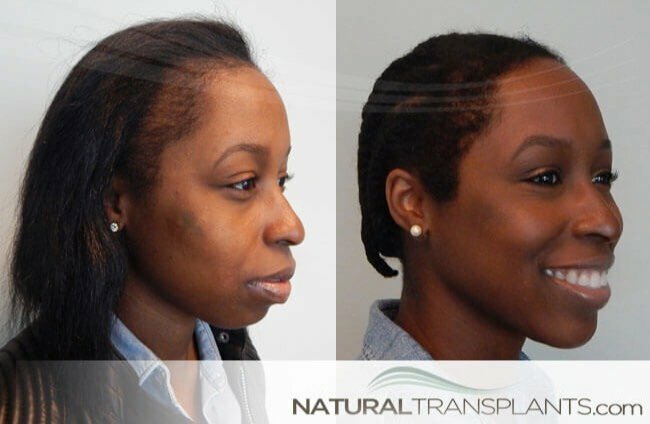 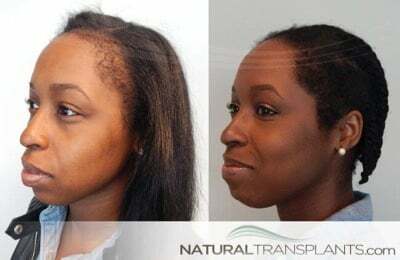 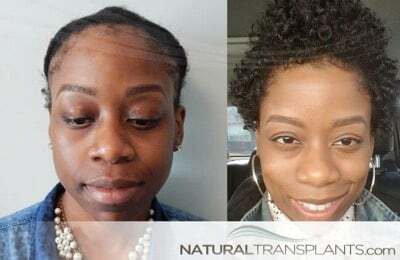 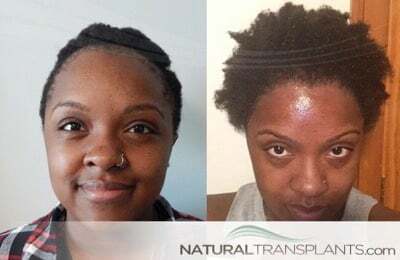 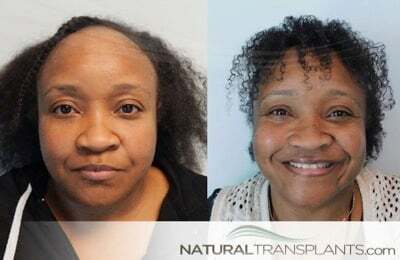 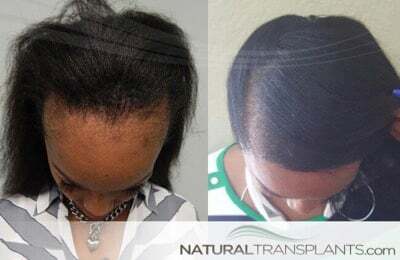 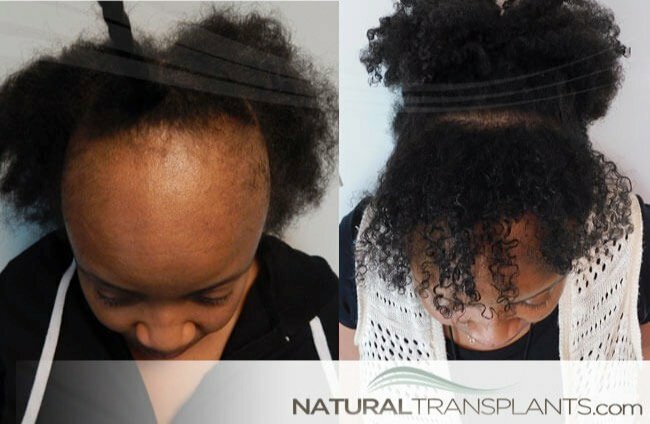 Female hair transplant before and after images are below. 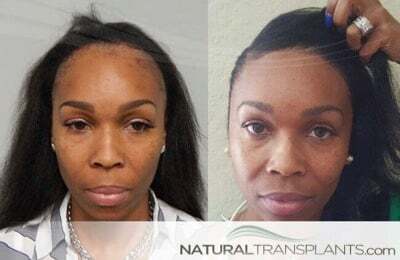 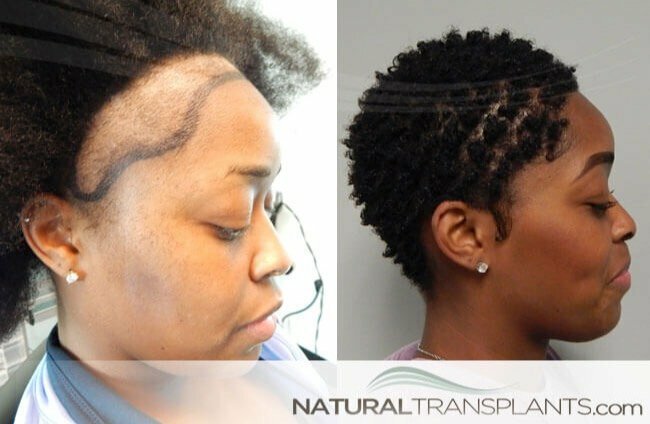 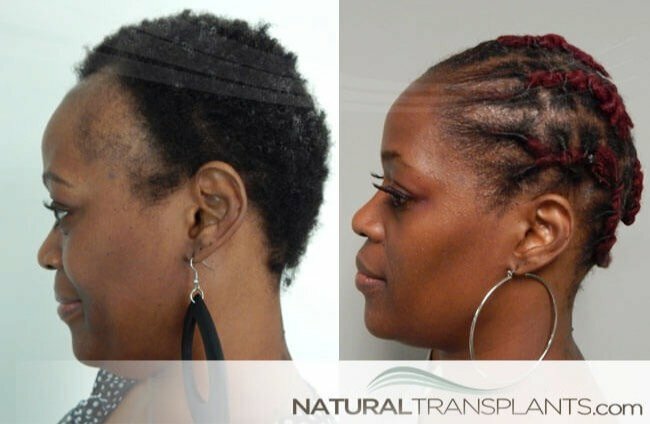 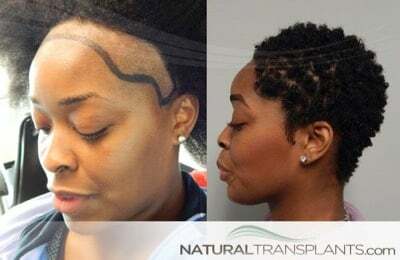 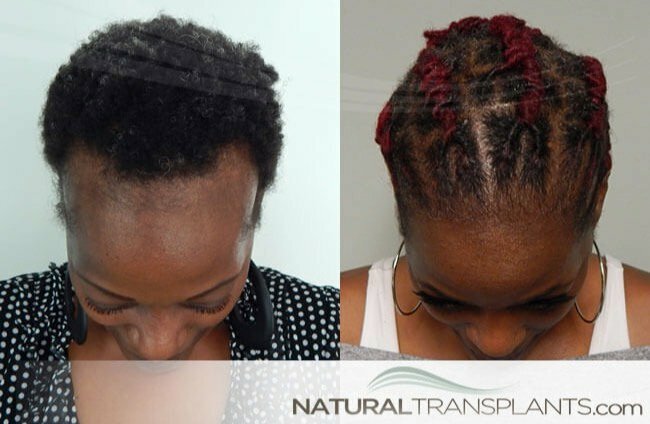 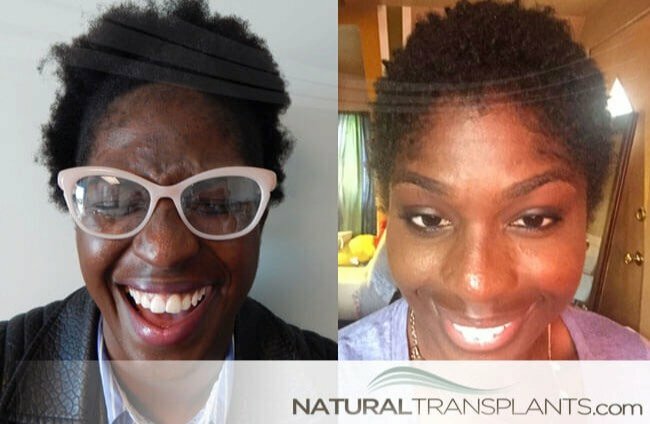 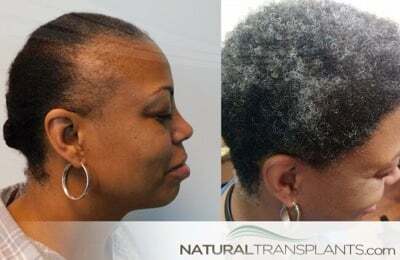 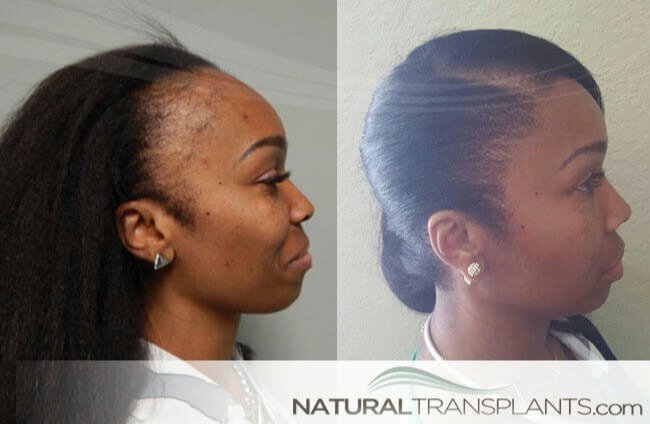 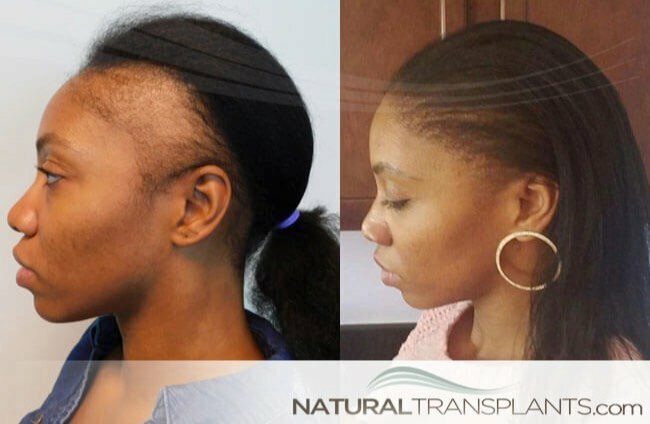 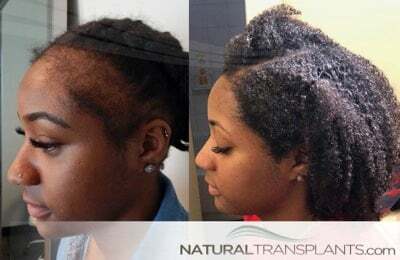 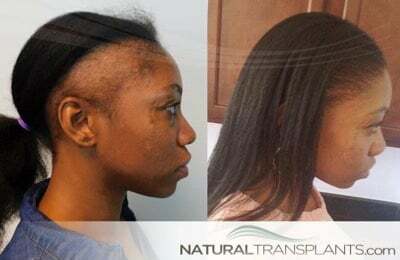 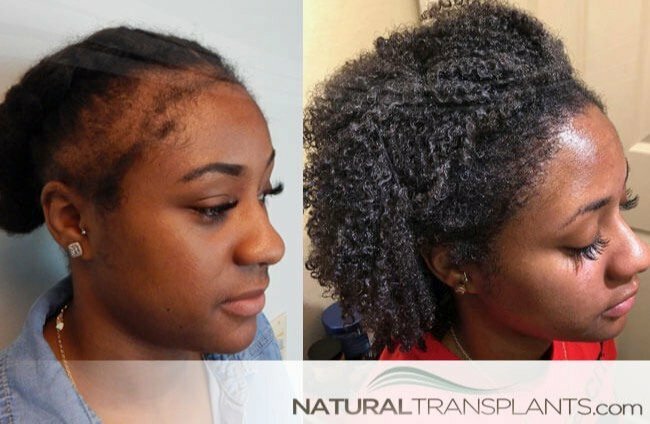 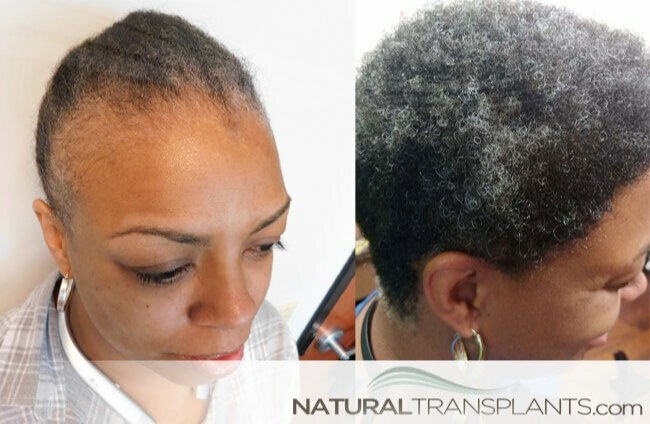 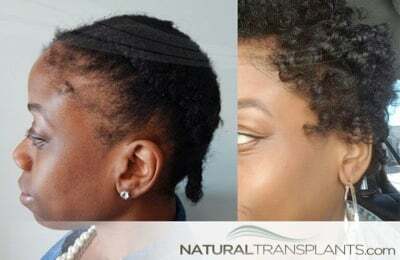 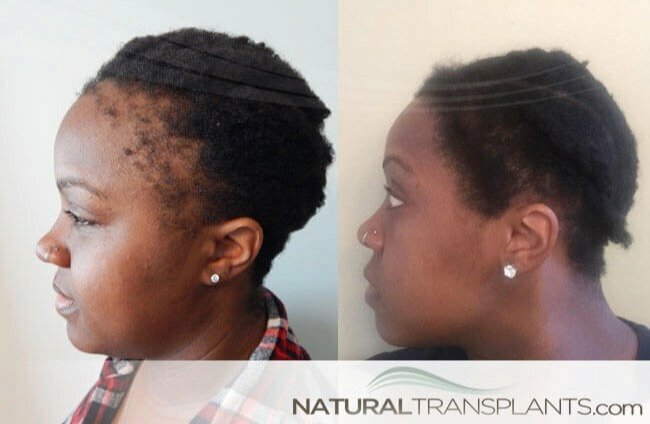 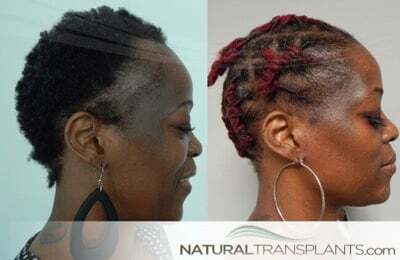 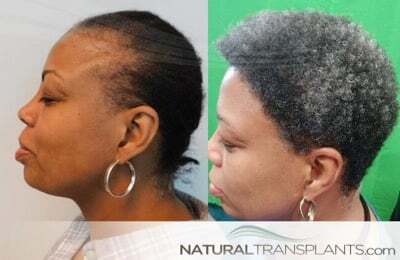 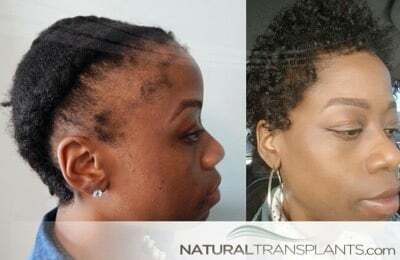 To learn more about Traction Alopecia & Female Hair Loss visit our Female Hair Loss page. Call us at 844-327-4247 to speak with a doctor and get your hair loss questions answered.